Organisers of Africa’s biggest gospel children/youth talent competition, God’s Children Great Talent (GCGT), on Tuesday, announced plans to commence the 7th edition of the reality show at a media conference which held at Four Points by Sheraton, Victoria Island, Lagos. An initiative of the City of David Parish of the Redeemed Christian Church of God (RCCG), this year’s edition of the talent competition is in partnership with The HOW Foundation. Organisers revealed that the show has gone bigger this year, with an increase in the prize money from N5 million to 10 million, a new car and management contract worth N250 million. The unveiling witnessed live performances from past winners of GCGT, Sisan, Praise and Onome of seasons 4, 5 and 6 respectively. 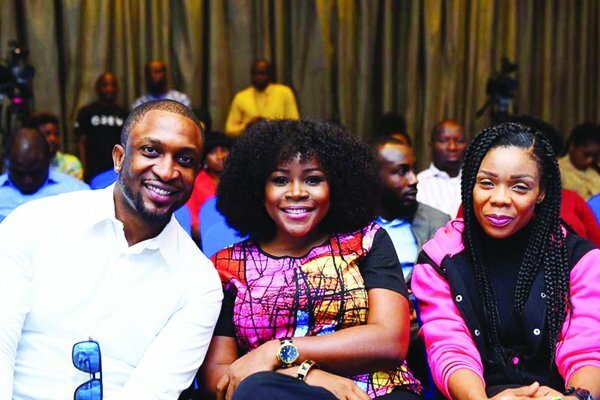 While Uti Nwachukwu of Big Brother Africa fame was announced as host of the show, Omawumi, Kaffy and TY Mix will serve as judges on the competition. “God’s Children Great Talent is a credible platform created to help discover and showcase natural talent in children and youths for the good of our society and God’s Kingdom. With every season, we are thrilled to welcome a wide range of talents but we know this year, GCGT season 7 will be awesome as it will showcase lots of surprises with significant contribution of added value to Nigeria,” said Pastor Bimbo Ozomah, a member of the GCGT Board Trustees. This year’s competition will be produced by Nigeria’s leading events production company, Livespot in collaboration with OHTV and televised on partner stations in Nigeria and the United Kingdom, with viewers following the journey of contestants from audition to the grand finale in June, at the Eko Hotels and Suites, Victoria Island, Lagos. For the competition which targets participants from ages 5 to 20, the search this season covers four main categories that include Music, Dance, Comedy and Spoken word. Auditions have been planned to take place in Port Harcourt, Abuja and Lagos. Also speaking at the event, CEO of The HOW Foundation, Anthonia Alli, said the philosophy of high morals and discipline which the GCGT upholds is in line with her organisation’s beliefs. For City of David’s Pastor Weyinmi Jemide, the vision of the organisers is to have a Grammy winner come out of the competition, while also nursing the show as a future platform for awarding gospel music. Interested participants who could be of any church denomination, are expected to register online at www.gcgt.org and stand a chance to be selected during the regional auditions to begin soon.